I’m sure it will come as no surprise to many readers that virtualization has brought (and continues to bring) huge benefits with regards to data center efficiency. I’m sure you are all aware of how virtualization allows you to do more with your servers; no more single server – single application paradigms. No longer do you have huge amount of compute resources left idle on your servers. By being able to run many operating systems and many applications simultaneously on the same single server (server consolidation), virtualization brought a halt to server sprawl and data center expansion for many of our customers. But it was not just the cost and the reduced footprint in the data center that virtualization has helped to tackle. The message that resonated with me when I first joined VMware back in 2005, and still resonates with me today, is that virtualization also reduced the carbon footprint of data centers, by reducing both the power consumption and the cooling requirements. In my opinion, it is an aspect of virtualization that we do not message enough. This short video explains pretty well the sustainability factor that virtualization brings. VMware has released features in the past to assist customers with sustainability. For instance, DPM (Distributed Power Management) is a feature of DRS which migrates VMs to a fewer number of ESXi hosts if possible, enabling some ESXi hosts to be powered off until their resources are needed once more. As the video above highlights, green IT technology is no longer simply “server” virtualization. IDC recently published a paper on Data Center Energy and Carbon Emission Reductions Through Compute, Storage, and Networking Virtualization. While this reiterates the message around the sustainability of server virtualization, it also highlights both NSX (from a networking perspective) and vSAN (from a storage/HCI) perspective as other green IT technologies that can help to reduce the carbon footprint of your data center. The benefits with NSX are obvious (replacing network switches, routers, load-balancers, firewalls, etc). From a vSAN and HCI perspective, if storage can be provided internally in the ESXi hosts (notably using flash), it removes the need for dedicated storage arrays in the data center, and indeed the additional paraphernalia that comes with certain arrays such as dedicated fiber channel switches, etc. This should lead to a smaller footprint in the data center, reduced power consumption and cooling, and less carbon emissions. Does this message resonate with any of my readers? Do any of you look at the Green IT aspect when it comes to your IT purchases? Or is your IT decision-making still based on traditional CAPEX and OPEX arguments? Do any of you use DPM used in your datacenters? I’d be very interested in your thoughts. 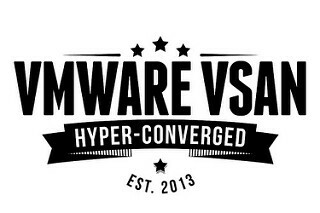 ← Which policy changes can trigger a rebuild on vSAN?